When you first encounter Apple Valley Dental & Braces, it becomes obvious we are a little different from most dental offices. Our award-winning architecture and fun atmosphere are the first clue. Digging a little deeper, you will find we are one of the few clinics in the country where award-winning specialists work hand-in-hand with general dentists. 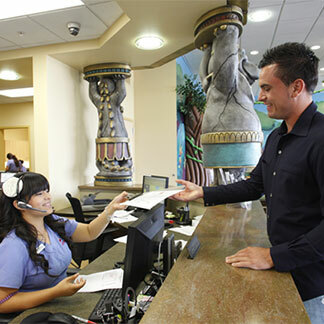 Our doctors and staff pride themselves on being friendly, well-trained, and ready to ensure you will have the best dental experience possible. We see the whole family! We accept most insurances and are preferred providers for Washington Dental, Guardian, Regence, Assurant, and MetLife. We accept state insurance (including braces) for children. We offer braces and Invisalign® for adults and children.